Goodson was born in Sacramento, California on January 14, 1915. His parents, Abraham Ellis (1875-1954) and Fannie Goodson (1887-1986), emigrated from Russia in the early 1900s. As a child, Goodson acted in amateur theater with the Plaza Stock Company. The family later moved to Hayward, California. Originally intending to become a lawyer, Goodson attended the University of California, Berkeley. He financed his education through scholarships and by working at the Lincoln Fish Market. He graduated Phi Beta Kappa in 1937 with a degree in Economics. That year, he began his broadcasting career in San Francisco, working as a disc jockey at radio station KJBS (now known as KFAX). In 1939 he joined radio station KFRC, where he produced and hosted a radio quiz called "Pop the Question" in which contestants selected questions by throwing darts at multi-colored balloons. While Todman oversaw the company's lucrative businesses outside of television, Goodson handled the creative aspects of producing game shows. The people who worked for the company and created most of the Goodson-Todman shows were pivotal to the success of those shows. Goodson-Todman executives Bob Stewart, Bob Bach, Gil Fates, Ira Skutch, Frank Wayne, Chester Feldman, Paul Alter, Howard Felsher, Ted Cooper, Jay Wolpert, and others were instrumental in making the shows successful. Goodson-Todman was involved with the 1969 pilot of The Joker's Wild, along with creator Jack Barry, but severed ties with Barry shortly afterward. The company proved itself to be masterful at games, but were not as successful when they tried other fields of television programs, including the anthology dramas The Web and The Richard Boone Show, a talk-variety show for famed insult comic Don Rickles – and what was possibly the company's biggest failure, a sitcom titled One Happy Family. Goodson-Todman Productions were also involved with three westerns: Jefferson Drum (1958–1959), starring Jeff Richards as a newspaper or in the Old West; The Rebel (1959–1961), starring Nick Adams as an ex-Confederate soldier who traveled to the West after the American Civil War (Johnny Cash sang the theme); and Branded, starring Chuck Connors as a soldier who had wrongly been given a dishonorable discharge from the Army. For many years, the company was headquartered in the Seagram Building at 375 Park Avenue, New York City, New York. Most of the company's production moved to Hollywood in the early seventies (as did many other production companies), starting with the ABC revival of Password in 1971. The Los Angeles offices were based first at 6430 Sunset Boulevard and later at 5750 Wilshire Boulevard. The company's last New York-based show was the 1980 version of To Tell the Truth, but the New York office remained open and was used for East Coast Child's Play auditions. A few years after Bill Todman's death in 1979, Goodson acquired the Todman heirs' share of the company, and in 1982 the company was renamed Mark Goodson Productions. Traditionally, shows would sign off with "This is (announcer's name) speaking for (show name). A Mark Goodson-Bill Todman Production/A Mark Goodson Television Production." After Goodson's death, to pay off a massive inheritance tax, Goodson's family sold the rights (except for Concentration/Classic Concentration, which had been licensed from NBC) to All-American Television, which was subsequently taken over by Pearson PLC (a educational publisher and communications company based in the United Kingdom), and, in turn, was acquired by RTL Group (a division of Bertelsmann), to form FremantleMedia, which now owns the rights to the library from Mark Goodson Productions. The Mark Goodson Productions name, logo, and announcement continued to be used for some shows until 2007, when Bob Barker's last episode of The Price Is Right aired. Afterwards, at the close of each episode of The Price Is Right since then, the announcer crs the show as "a FremantleMedia Production." until 2018 when its now cr as "a Fremantle Production." In 1990, Goodson received the Emmy Award "Lifetime Achievement Award for Daytime Television", which was presented to him by Betty White. Two years later, in 1992, Goodson earned induction into the Television Hall of Fame. On June 3, 2000 an episode of Biography called Mark Goodson: Will the Real Mark Goodson Please Stand Up? aired on A&E where it profiled his life and career. This features many interviews of the hosts, panelists and co-workers such as Betty White, Bob Barker, Gene Rayburn, Kitty Carlisle, Marjorie Goodson and Suzanne Goodson. Goodson's shows have continued to dominate both the GSN (Game Show Network) and Buzzr (TV Channel) schedules in reruns, due to the fact that his company saved most of the episodes of the shows while other companies wiped theirs in order to reuse the tapes. The practice of wiping would stop by the start of the 1980s. The series was based on the British format called Ant & Dec's/Vernon Kay's Gameshow Marathon and ran on CBS from May 31 until June 29, 2006 hosted by former actress/talk show host Ricki Lake, announced by Rich Fields (who formerly announced for The Price Is Right from 2004 until 2010) and Todd Newton as the prize deliverer in which six celebrities (i.e. Lance Bass, Paige Davis, Tim Meadows, Kathy Najimi, Leslie Nielsen and Brande Roderick) play seven classic game shows for their favorite charities and the home viewer featured five formats based on Goodson-Todman/Goodson shows along with the recreation of their original sets such as The Price is Right (1972 version), Beat the Clock, Card Sharks, Match Game and Family Feud. In 2014, the buzzr brand was first used by its parent company FremantleMedia (now Fremantle) for its YouTube channel created by its digital content studio Tiny Riot. The channel features mostly classic clips along with its short-form reboots of its classic game show properties by using various internet celebrities as contestants. Four of the Goodson-Todman/Goodson shows were Family Feud, Password, Beat the Clock and Body Language. Many Goodson-Todman games were produced internationally, some under different titles, and were distributed by Reg Grundy Productions – Family Feud was known in the United Kingdom as Family Fortunes, and Card Sharks went under the title Play Your Cards Right. In Germany, Match Game was known as Schnickschnack (loosely translated, "something, anything" and used as a counterpart for the word "blank", for which there is no direct word in German). In the United Kingdom, it was known as Blankety Blank, while in Australia, it was known as Blankety Blanks (which, coincidentally, was the title of an unrelated American game show, created by former Goodson-Todman staffer Bob Stewart). Most Grundy-produced counterparts of Goodson-Todman games had low payouts, but made up for it with almost identical sets or unique sets of their own (e.g., Family Fortunes). Of the numerous shows Goodson produced in his lifetime, four are still on the air and are being produced by successor companies (All-American Television from 1995 to 1998, Pearson Television from 1998 to 2002, and FremantleMedia since 2002) as of 2016: The Price Is Right, which has run continuously since 1972; Family Feud, which was canceled in 1985, revived in 1988 and then canceled again in 1995, and revived in its current form in 1999; and Match Game and To Tell the Truth, both of which were revived in 2016 after lengthy stints off the air. As of 2018: Beat the Clock is still on the air after a lengthy stint off the air. Card Sharks (1978–1981, 1986–1989, 2001–2002) copyrighted as Suzanne Productions (later MG Productions), and The Card Sharks Company. Concentration & Classic Concentration (1973–1978, 1987–1991) copyrighted as G-T Enterprises and The Concentration Company. Family Feud (1976–1985, 1988–1995, 1999-present) copyrighted by The Family Company, The New Family Company, Feudin' Productions, and Wanderlust Productions. I've Got a Secret (1952–1967, 1972–1973, 1976, 2000–2001, 2006) produced by Oxygen Media LLC in the 2000-01 version and Burt DuBrow Productions in association with Get Real Entertainment in the 2006 version. Match Game (1962–1969, 1973–1982, 1990–1991, 1998–1999, 2016-) copyrighted as Sojourn Productions, Celebrity Productions, The Match Game Company, and others. Now You See It (1974–1975, 1989) copyrighted as Suzanne Productions and The Now You See It Company. Password (1961–1967, 1971–1975) copyrighted as Peak Productions. Password Plus and Super Password (1979–1982, 1984–1989) copyrighted as The Password Company and The Super Password Company. The Price Is Right (1956–1965, 1985–1986, 1994–1995, 1972–present) copyrighted as Marbil Productions, Price Productions and The Price Is Right Productions. Tattletales (1974–1978, 1982–1984) copyrighted as Panel Productions and The Tattletales Company. In 1941, Goodson married his first wife, Bluma Neveleff, and moved to New York City, where he teamed up with partner Bill Todman. The pair's first radio show, Winner Take All, premiered on CBS in 1946. Outside of television production, Goodson and Todman went on to own several newspapers in New England as well as radio station KOL in Seattle, Washington. Bill Todman died in July 1979, and in 1982, the Goodsons acquired the Todman heirs' portion of the company. Goodson had two children, Jill and Jonathan (born 1945), by his first wife Bluma, and a daughter, Marjorie (who was a prize model on Classic Concentration from July 1987 until its finale in September 1991), by his second wife Virginia McDavid, Miss Alabama 1953. 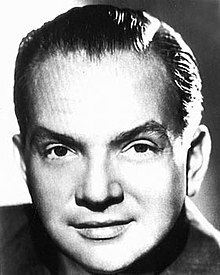 In 1972, he married his third wife, Suzanne Waddell, who had once been a guest on What's My Line? They divorced in 1978. Goodson died of pancreatic cancer on December 18, 1992 in New York City, a month before his 78th birthday. He is interred at Hillside Memorial Park in Culver City, California, along with Fannie Goodson and A.E. Goodson. After his death, Bob Barker gave him a small tribute that aired after an episode of The Price Is Right, as an attached segment that followed the end crs and said "This is a very sad time for The Price Is Right family. We've lost Mr. Mark Goodson, the creator of our show. Mr. Goodson, a legendary figure in television was respected throughout the industry and we shall miss his guidance in the years to come." Then was followed by a memoriam titled "Mark Goodson 1915-1992." ^ Broadcasting. Broadcasting Publications Incorporated. 1961. ISSN 0007-2028. Retrieved September 13, 2015. ^ Feder, Robert (June 28, 1990). "Chicago Sun-Times: Emmy loser Lucci to skip awards show". Chicago Sun-Times. p. 47. Retrieved March 20, 2011. ^ a b McMurran, Kristin (May 14, 1984). "Mark Goodson Wizard of Games". People. Retrieved July 21, 2014. Mark Goodson: Will the Real Mark Goodson Please Stand Up?